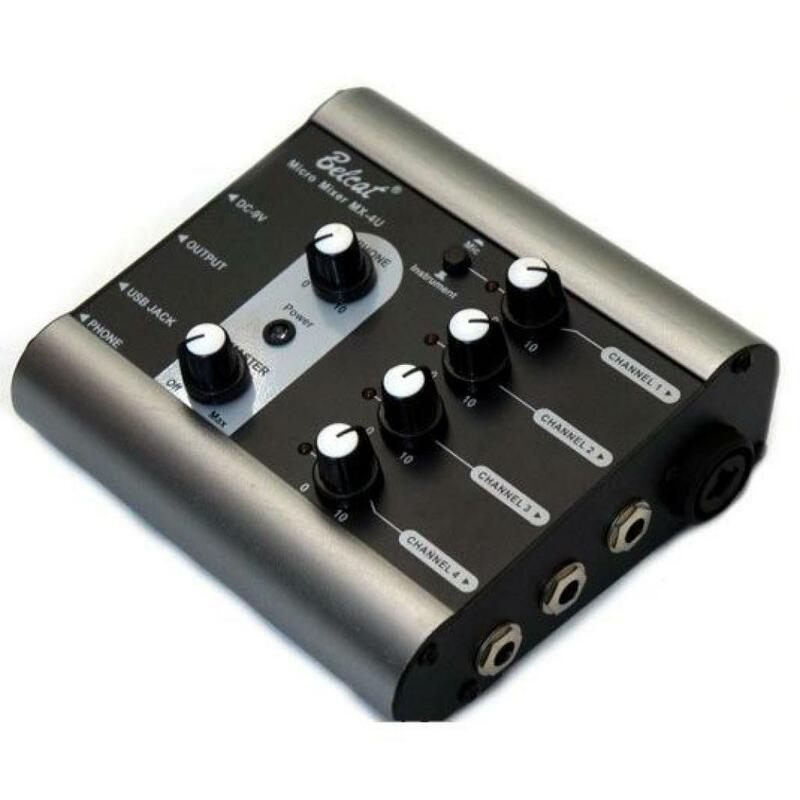 Home / Recording and Live Sound / Mixers / Belcat MX-4U Micro Mixer- battery powered. Belcat MX-4U Micro Mixer- battery powered. 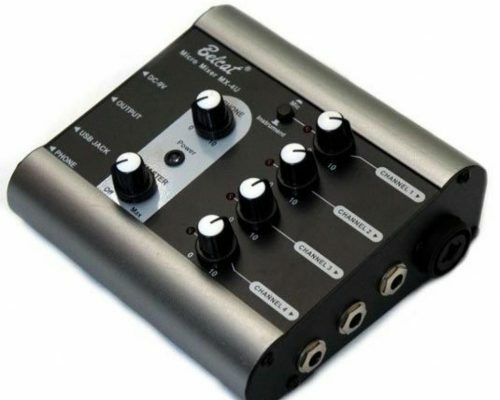 BELCAT MX4U MINI MIXER. USB Micro Mixer MX-4U. A lightweight, portable Micro Mixer with USB connectivity and flexible inputs and outputs. The MX-4U can be powered by a 9v battery or by a 9v DC power supply (not included), has both XLR and Jack inputs and Jack and USB outputs, making it a truly versatile unit. It is ideal for anyone looking to record fully mixed demos themselves without the expense of studio time.